Although not as popular as football and some other sports, betting on darts is still very exciting and unpredictable. 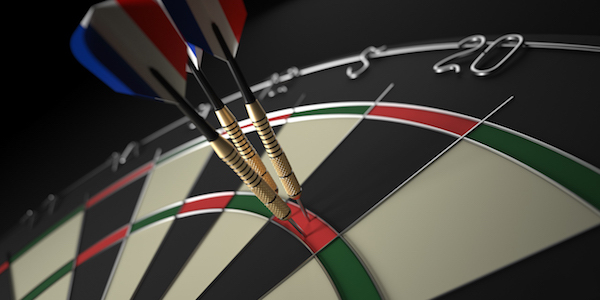 Darts betting is a great way to have fun while rooting for your favorite contestants. Darts is equally attractive for both professionals and amateurs. To join the army of darts lovers, all you need is special equipment. This highly entertaining sport has no lack of fans. Many of them not only take part in competitions but also enjoy darts betting. Over the years of training, professionals develop a good eye and a firm hand. By the way, it’s not uncommon that some seasoned amateurs play as good as professionals. In the past, the sport was only known in Great Britain. It was a common entertainment among pub visitors. The game made its way to the international arena to become a professional competitive sport. Unfortunately, there are few bookmakers that offer a really wide selection of wagering options. Although the market is dominated by mostly British oddsmakers, major competitions attract the attention of top-tier international websites. Most bettors prefer wagers on the outcome. Bear in mind that a draw is also among possible outcomes. Before making a stake, make sure to browse through all wagering options. Bookmakers take wagers on the exact score of a match. Predicting the exact score is close to impossible. You need to be very lucky to win this wager. Make sure to study the tournament rules. In some competitions, you need to win 5 legs to become the victor; in others, it’s 7 legs. There are many ways to wager on this exciting sport. Bettors can enjoy leg (or set) handicap betting and total betting. On some websites, you can wager on a player who will score 180 points more times than others. When it comes to long-term stakes, wager on the tournament winner is the best option. If you analyze all participants and darts betting odds, you have all chances to make a successful wager and lock in big profits. Professionals can show their skills on multiple occasions, from local competitions to international tournaments. 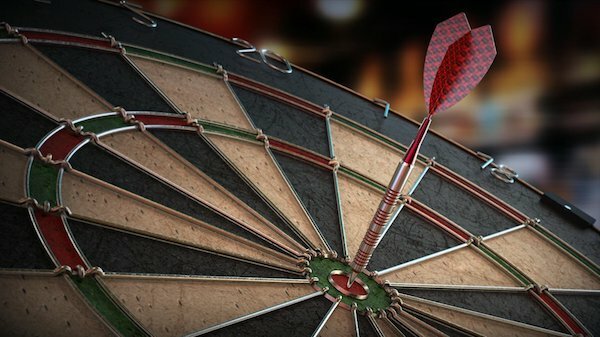 With betting on darts world championship, you can make stakes on the best players of the world. Organized by the British Darts Organization, the Championship has been taking place since 1978. The oldest and the most prestigious tournament in the world, the Championship used to be the only contest in this amazing game. The Women’s World Championship has been contested since 2001. The competition attracts multiple sports fans, offering diverse world matchplay darts betting opportunities. The annual PDC World Darts Championship is another high-profile event. The competition is broadcast live in the United Kingdom and even recorded in high definition. Since 2010, PDC has been organizing the world championship for top teams from the Netherlands and England. As darts is not a contact sport, contestants do not interact with one another. At the same time, it features a tense, competitive atmosphere like no other sport. Betting on darts, be sure to take into account a player’s emotional condition. To make accurate throws and achieve success, a contestant must be composed and focused. Bear in mind that a player’s successful performance alone can break spirit of his opponents. Our advice is to watch a couple of past games with your selected player. Pay special attention to head-to-heads to find out your player’s strong and weak spots. In this sport, sensations are uncommon. If a player delivered good performance in the past seasons, they’re likely to continue this way. At the same time, there is always a possibility that a psychological factor may interfere and upset all plans. Here is another one of our free darts betting tips. Take ample time to study the ranking table. It shows the current position of each contestant. Leaders tend to deliver consistently high results, ending up in the top of the ranking. However, at second-grade competitions, high-ranking players may allow themselves to relax and lose to weaker opponents. Along with rankings, statistics are another useful tool for bettors. While some players show stable results, others are very volatile. With the latter type, you never know whether they’re going to beat the celebrated favorite and lose to an unknown underdog. Unless you don’t care about payouts, you should ignore live darts bet on favorite. Bookmakers offer low odds on strong contestants which makes this wagering type unprofitable for gamblers. Before exploring darts betting, be sure to find a reliable oddsmaker. As we already mentioned, not all websites provide interesting wagering options. Take your time to choose the best platform (or a couple of them). Compare odds and wagering types across different websites. Make sure that a bookmaker covers all major tournaments.